On your many explorations of Neopia, I am sure you have come across these wheels. In this guide I hope to tell you a little bit about each wheel, and if it is worth your time. There are six wheels in Neopia: the wheel of Monotony , the Wheel of Mediocrity , the Wheel of Excitement , the Wheel of Knowledge , the Wheel of Misfortune and the Wheel of Extravagance . 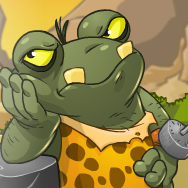 The wheel of Monotony is on the Tyrannian Plateau, right next to the Giant Omelette. This is probably best, because this wheel takes forever to finish! Spin the wheel and you may have to wait for hours. But most of the prizes are worth it! You can only play once a day. There is no trick to it. 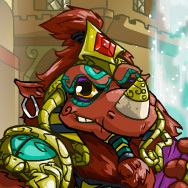 The Wheel guard, a rather sleepy Tyrannian Quiggle, has too much time on his hands. You can spin this wheel for 150 NP and can spin it once a day. This very fast and slightly boring wheel is in the Tyrannian Jungle. 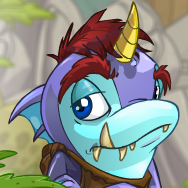 A very bored Tyrannian Flotsam is waiting for you to spin. There are several things you can get. You can spin this wheel for 100 NP and can spin it once every 40 minutes. Way up in the Neopian skies, hidden behind the clouds, is the magical place of faerie lands. Here you can find the most delicious foods, caring faeries and mystical places. It is here where you can find the wheel of excitement. It is guarded by a light faerie. You can spin this wheel for 500 NP and can spin it every 2 hours. Neatly tucked away in Neopia is a small place called Brightvale. Ruled by great King Hagan, this small secluded town is the home of the wheel of knowledge. Sounds impressive, doesn't it? Now here is a quick guide to what you can win. It costs 400np to spin! You can spin this wheel for 400 NP and can spin it once a day. A king is only as good as the court that surrounds him. A hasty decision is a decision to fail. A book a day keeps the dunces at bay. Brave men may be forgotten, but brave deeds are never forgotten. A kingdom's greatest resource is an educated populace. A king who fails to seek the council of his court can only be seen as a fool. Foolish innocence always outweighs innocent foolishness. It takes more than just a king to have a kingdom. In times of war, it is more important to have a good plan than a good army. The mind, like any other muscle, must be regularly exercised... otherwise, it withers into decay. Knowledge is a gift that can never be returned. One may be born a prince, but he must earn the right the be called king! There are some lessons that cannot come from a book... they must simply be lived. The sharpest blade doesn't always win the duel. Without an education, one is more likely to become a jester than a king. There is no future for a king who is ignorant of the lessons provided by the past. We study history so that we may make new and more interesting mistakes. A wise man sees obstacles as they are, not as they appear to be. Type "plzsutekcanihavemoretime" to receive a 30 second time bonus in Sutek's Tomb. Type "kougra" while playing Frumball to skip the level, although your points will get reset. Scoring 3000 or more on MAGAX: Destroyer will get you an avatar. Type "pyramibread" as many times as you'd like while playing Sutek's Tomb to see the next possible move. The Halloween Moehog is dressed as Dr. Sloth! Type "boohooiwanttheoldgameback" on the 'Select a game mode' screen, to launch the old version of Destruct-O-Match! Going to Coltzan's Shrine exactly 55 seconds past the minute gets you a Dubloon! 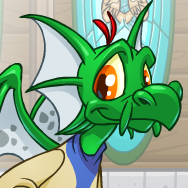 If your neopet gets too sad, it may change colour. Type "monstermovie" while playing Bruno's Backwoods Breakaway to turn it into a black and white movie. If you type "buuuurrrrrrrrp" while playing Snowmuncher, the bloat-percentage of your belly decreases by 50%. 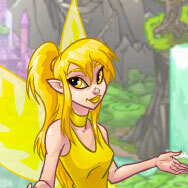 Doing a quest for an earth faerie may result in your Neopet gaining a little weight. If you type "kingaltador" while playing Crisis Courier, you'll earn another life. If you type "stardust" while playing Faerie Bubbles, the current bubble becomes a Nova Bubble. Type "catapult" while playing Ultimate Bullseye II to receive a power-up. Doing a quest for Taelia may earn you an Ice Cream Machine Coupon, usable at the Ice Cream Cart. If you type "cheese" while playing the Buzzer Game, your cursor will show up. Steady on! A Potion of Brightvale Castle can be a wise choice of beverage, giving your Neopet a boost in intelligence. If you go deep into the Haunted Woods, past Edna's Tower and Thade's Castle, and into the Fairground, back in the left hand corner, behind the (rigged) Bagatelle, you will come across the Wheel of Misfortune. It's creepy. It's evil. It--hey, there's an avatar! *cough* Back on track, this wheel is guarded by a spooky Gelert. The smallest wheel, there are eight things to land on. You can spin this wheel for 150 NP and can spin it every 2 hours. The inhabitants of Qasala have a taste for anything that is shiny and expensive... The Wheel of Extravagance was built upon their tastes and is a high roller - both in what it costs you to spin it and what it can rewards you. Though the Tonu wheel keeper will never admit it, this wheel is mainly a NP sink. 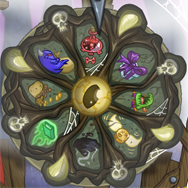 Because you can earn an avatar from spinning this wheel, many Neopians won't hesitate to gamble their Neopoints in Qasala (in a house located in ther right bottom corner of the map). You can spin this wheel for 100,000 NP and can spin it once a day. If you land on avatar spot for a second time, you win nothing. :( Special thanks to richseller who was the first person to land on the avatar spot for a second time! If you have any information about the prizes we can get from landing on the scorchstone, please contact us.